Veteran player and dragon lady. Wie kann man den Allianz Namen ändern? Man kann den Namen nicht ändern, es sei denn man macht eine neue Allianz. Bitte schau das nächste Mal bitte, dass du in der richtigen Rubrik postest. Und mehr Posts geben nicht mehr Antworten, sondern werden unter Umständen als Spam gewertet, was zum Ausschluß aus dem Forum führen kann. Do the chocolate bunnies in the Easter event have to be rezzed or can they stay in your inventory? They can stay in the storage. You will get rewards after reloading when you reched the number for a reward. @bettina-löffler what is the dragon with the new skin at 265 bunnies, I am draek g a blank? At first I thought it was Frightening. Deep Red is only breedable in the sanctuary. You can use Battery + Burning, Sphynx + Zombie, Petroleum + Steampunk or Mercury + Burning to breed it. @muldershep That must be wrong. 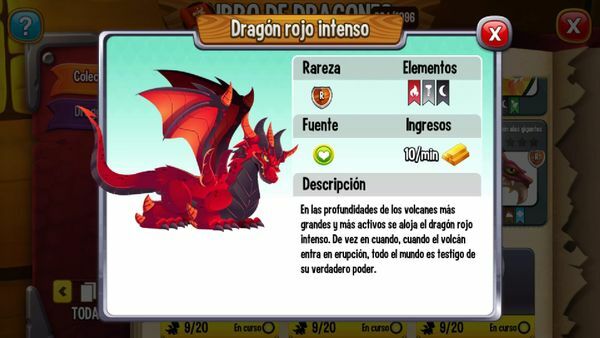 You should better check https://dragoncityguide(dot)net/dragon-tournament-rockfire/ replace the dot and brackets with a dot. @dragonista That changed when the next event started after the daylight saving change in Barcelona. That was the Anniversary Island. im lvl 23, and have opened my 3rd island. but why my freebies island didnt show up yet. 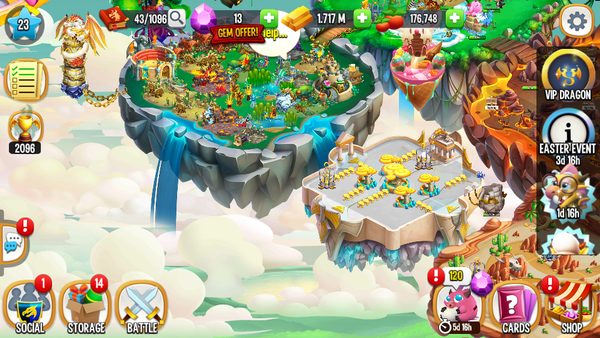 i already contact the customer service while im at level 22, they tell me to just wait and keep playing without telling me what should i do to get freebies island. Did you play for 21 days? It will not show up before that.